The Residential Program is a safe, supportive environment for men 18 years and older who desire to get their lives on a productive course (i.e. staying free of drugs, alcohol and other addicting and enslaving behaviors). The program offers emotional, intellectual, physical and spiritual support to help men grow and gain the strength to succeed. 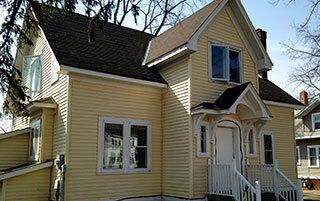 The housing program is for single men that are actively making changes in their life. Referrals are received from case worker, social worker, corrections agent or other ministries. Each potential resident must fill-out an Intake form, go through an interview, and sign a LodgingProgram contract. This contract is reviewed every 30 days for extended stay up to 90 days. Requirements for stay; must be chemically free and working towards independence. Each resident is responsible for the following; must attend three support groups and set goals each week, 24 hour accountability, household chores, able to care for self. Follow through with requirements of corrections, case manager, and after care plans. The Dream Center is a 14 bed former hotel and café. In addition to the housing it is where three meals are served each day for all the residents on our campus in the day room. Our main reception area, staff med management & business offices are located there and programming takes place there as well. All residents must sign in and out under the security cameras. 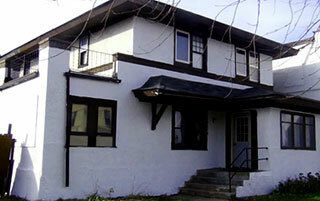 Caleb House is next to the Dream Center building at 525 16th Ave N. in St. Cloud. With six GRH housing beds, offices and conference room. The Hospitality House, seen here to the left, is an apartment building which houses up to 18 people. 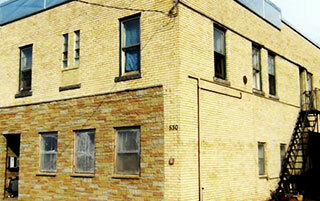 Located across the street from the Dream Center, it has eight units on the bottom floor. It houses men with physical mobility issues. 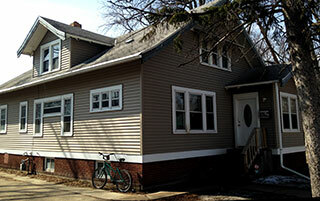 The Joshua House, located at 526 16th Ave N. in St. 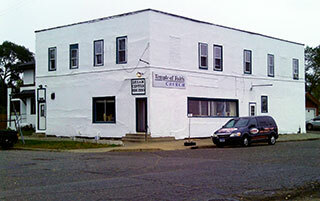 Cloud, Minnesota, is our newest facility. 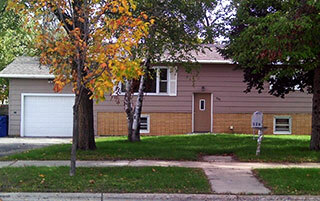 It contains four bedrooms along with a kitchen, livingroom, laundry room, and spacious back yard. Designed for older men who like peace and quiet in a more independent setting. Overcomers International Fellowship (OIF Willmar) is also registered as a "Housing With Services" facility in Kandiyohi County. 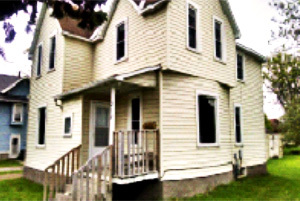 These two housing locations; Matthew House and Timothy House provide Group Residential Housing for men struggling with mental health, MI-CD, TBI or physical disabilities. This housing location; Foundation House provides Group Residential Housing for men struggling with mental health, MI-CD, TBI or physical disabilities. At the Dream Center we need your support, uniting for a common purpose, a passion for God and compassion for souls. STM (short term missions) Over 500 youth have come from 28 different churches to minister for the day or just prepare a meal. Cell groups come from area churches each month to minister. We don’t play God, jailer, policeman or baby-sitter. We will help you get on your feet again but we won’t carry you or drag you. Be ready to do what it takes to succeed in a new life. We are a Non-Denominational Christian Faith Ministry. We will be talking about the God of the Bible, however, you can choose the support groups that you will attend. We never take your gate money and we accept you on faith. After the first two week stay with us you can set up a payment program once you have a job. The Dream Center of St. Cloud was founded on the principles of the Old and New Testament Scriptures. We emphasize that adherence to these principles and teachings are essential to a full and free life. The program is carefully designed to challenge the individual to care for them-self and help care for others. A structured accountability program that includes the resident working a full-time job or attending school to prepare for gainful employment. They also must sign in and out, perform household chores, follow a personal weekly plan of goals and accountability & participate in other activities essential to reintegration into mainstream society. As a person progresses through the program, they gain more freedom as they successfully take on more responsibility in their personal social growth, job and community activities.